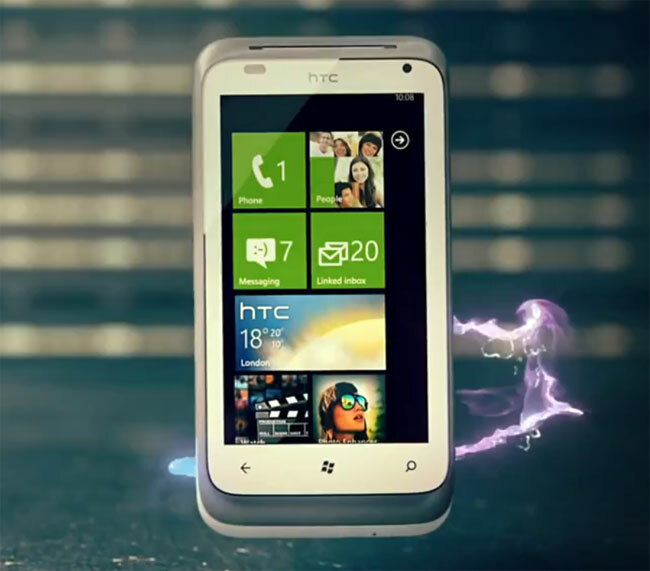 HTC recently announced their first Windows Phone 7 Mano devices, one of those was the new HTC Radar, and the company has now released a new teaser video for the device, which you can see below. The HTC Radar will come with Windows Phone Mango 7.5 and it features a 3.8 inch multi-touch touchscreen display with a resolution of 480 x 800 pixels, processing is provided by a single core 1GHz processor and it comes with 512MB of RAM and 8GB of storage. Other features on the HTC Radar include a 5 megapixel camera with an F2.2 lens, LED flash and a BSI sensor, on the front there is a VGA camera for video chat, and it comes with 3G, GPRS, EDGE and 802.11 b/g/n WiFi and Bluetooth. The HTC Radar is expected to go on sale in Europe on the first of October for 399 Euros.